Your hair colour fades away after just a few washes? You feel the lustre and shine missing in your coloured, treated hair? Estrella Vita Verde Anti-Fade Colour Lock Shampoo with Amazon Amaranth for Coloured Hair keeps your hair colour vibrant and help it last longer. 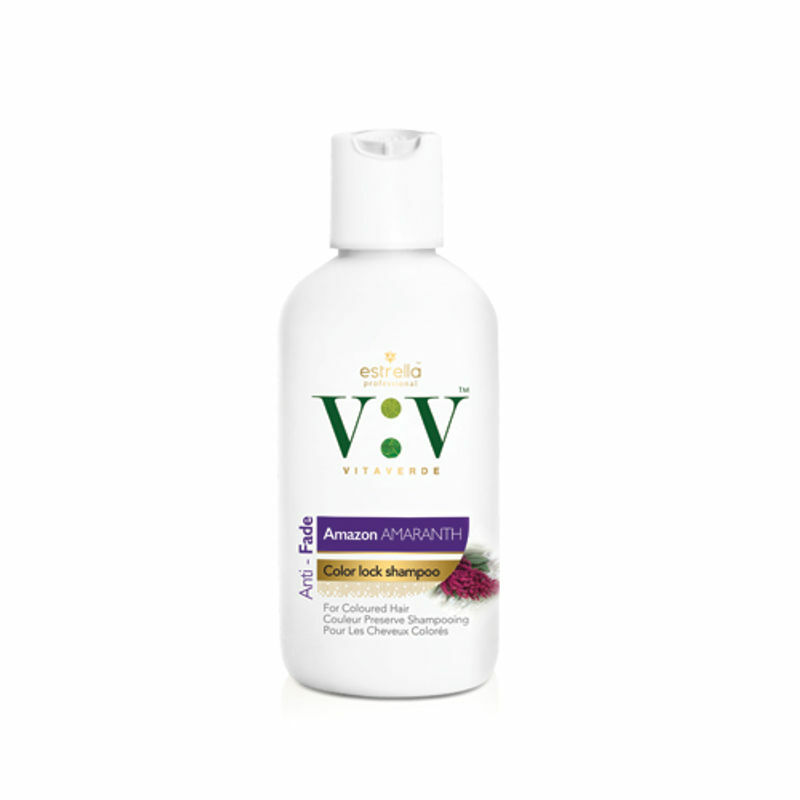 Enriched with longevity extracts it keeps your coloured hair protected, shiny and healthy. Vita Verde is a professional hair care range which combines the goodness of exotic natural ingredients in a modern formulation and form without harsh chemicals. Literally connoting a "Green Way of Life" Vita Verde is Natural Luxury at its best. Felt the need for spa-like shiny, soft manageable hair but been always troubled by the chemical content in those products? Your safe, sustainable alternative is here. 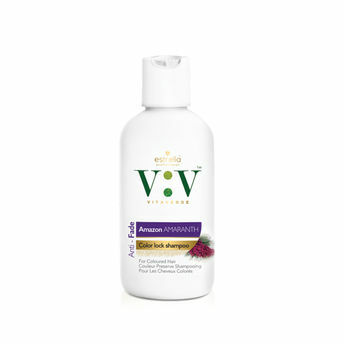 Packed with natural, high performance actives that are time-tested and safe, embrace the "Green Life" with Vita Verde. It has formulations that are safe, effective and pamper you with nature's best.